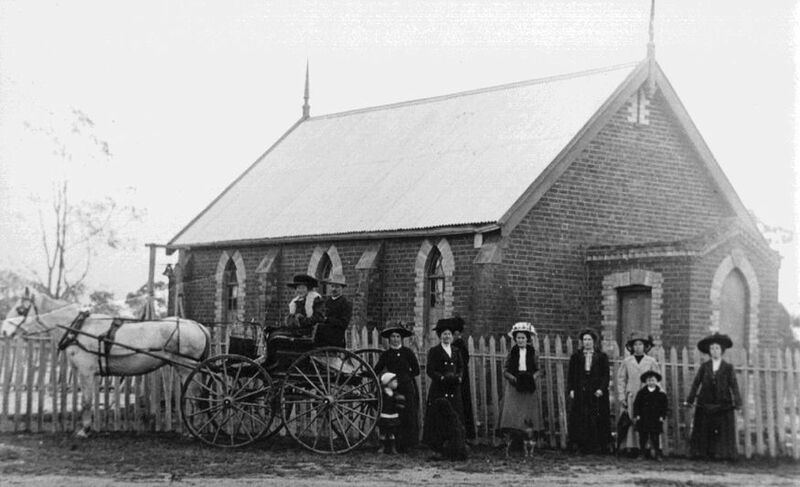 The former (Upper) Homebush Methodist Church building was built about 1872, although a Wesleyan Chapel was known to exist on the site prior to January 1864. The brick church building was dismantled in 1928 and rebuilt at Rathscar West, about six kilometres away. See separate entry for Rathscar West Uniting Church..
No other details are known about the former church. More historical information/photographs of the former church/congregation are invited. Photograph uploaded 30/7/2018.